Tokely, who previously played for the Cattachs, has been in charge since succeeding his former Caley Thistle and Ross County team-mate Grant Munro as manager in December 2016. Although Tokely has led Brora to two North of Scotland Cup triumphs along with reaching the last-16 of the Scottish Cup this season, the Dudgeon Park men have fallen below expectations in the Highland League. Brora will finish sixth regardless of the outcome of Saturday’s final game of the campaign away to Turriff United. First-team coach Alan Duff will take charge of the team for the match at the Haughs. Brora chairman William Powrie spoke of his regret at Tokely’s departure but shared the 39-year-old’s disappointment over the Cattachs’ league performance. 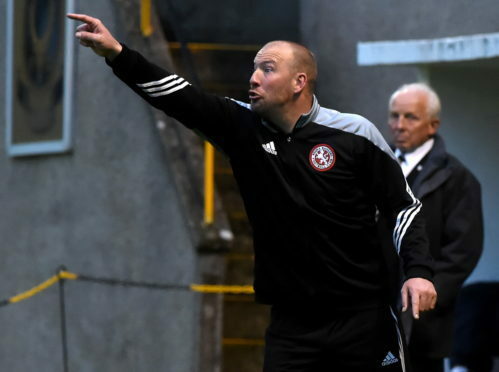 Powrie said: “During his tenure, Ross has won two North of Scotland Cups and narrowly missed out on a Highland League title by just one point. “This season the club has enjoyed great success in the Scottish Cup, with Ross claiming the scalps of League 1 sides Stranraer and East Fife before being put out by Premiership club Kilmarnock in the fifth round at Rugby Park. “We attracted UK coverage of our exploits and fostered relationships with many new fans around the country. Brora midfielder Gavin Morrison said he was surprised by Tokely’s departure, adding: “It is a shock. The Scottish Cup run went very well but I know the league form was disappointing towards the end of the season. “Brora should be finishing higher up the table. “We will need to show the new manager who comes in that we are good enough to be competing at the top of the league.